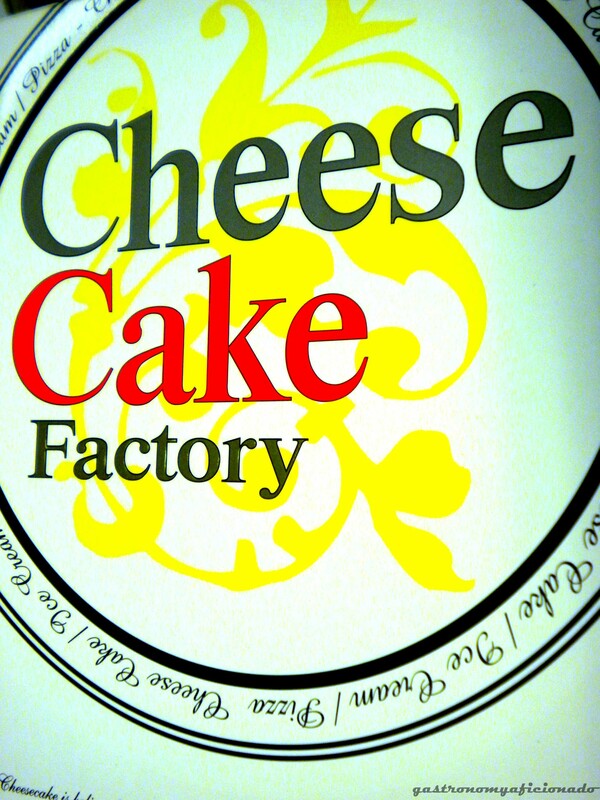 Cheese Cake Factory (CCF) is a prominent cake shoppe and cafe in Jakarta. Opens already for almost a few years and available in several spots in Big Durian. Specialized of course, in cheese cakes with many variants such as Blueberry Cheese Cake, Double Baked German Cheese Cake, or Mixed Fruit Cheese Cake; chocolate cakes like Chocolate Tart or Chocolate Truffle; then our local pride, Indonesian layer cakes, such as Lapis Legit Prune and Lapis Surabaya; ice cream cakes and not to forget the usual short cakes and the hampers. This cake that we had was meant for farewell party of one of my colleagues in the office. We decide to always order a big cake for such occasion. The girls picked this Mixed Fruit Cheese Cake for us. It’s the 20 cm x 20 cm size that cost IDR 185,000. It turns out that the size was not imposing enough for ‘barbarians’ like us though in the end there’s still several slices remained. About how it looks? 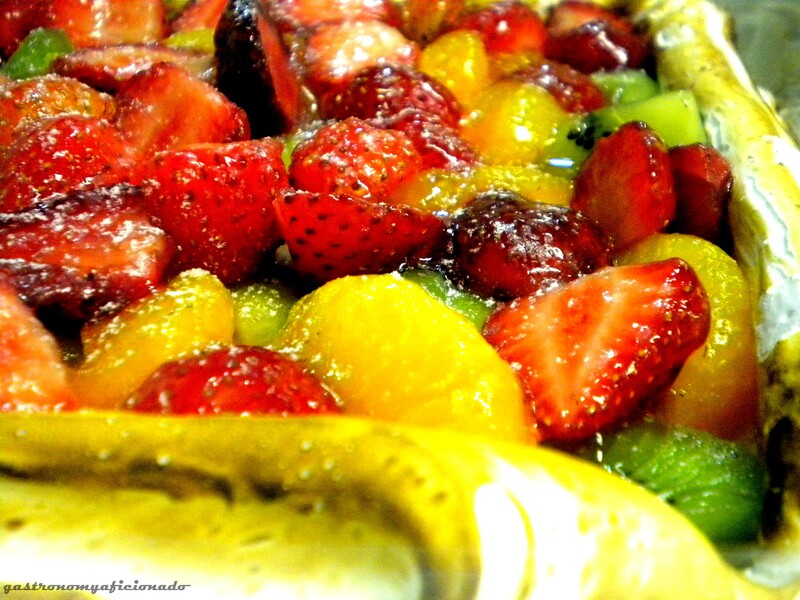 It looks nice with plenty of strawberries, kiwis, and oranges with a twist of granulated sugar. 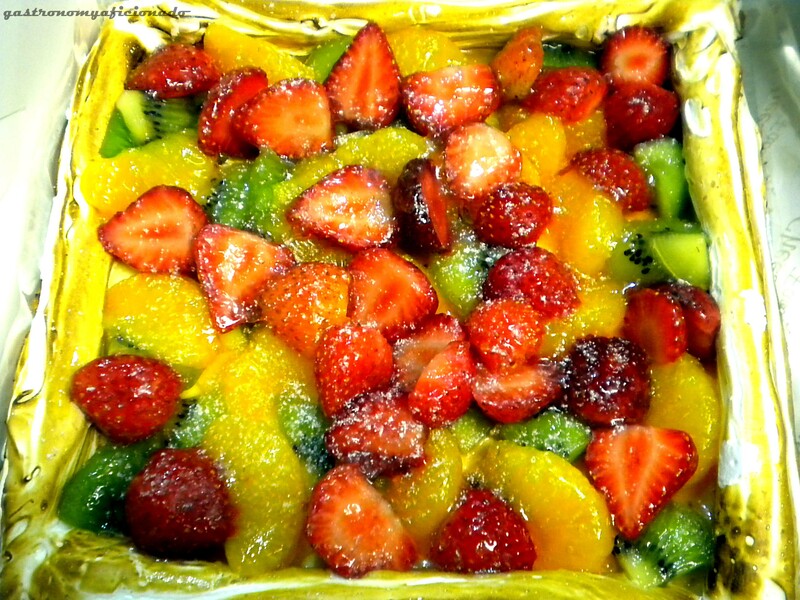 On the side, heavy creams decorated the cake and with a touch of butane torch to make the golden color (correct me if I’m wrong), twisting around and made it look like a frame of still life painting of fruits. Quite beautiful but seems too small for us, the hungry barbarians. Unfortunately, once you dig in, it’s not that impressive. The cheese cake was too light comparing the one I had from Cizz. Even though small in size but it’s very fulfilling, cheap, and lots of variety. I don’t think that even CCF can match the taste of it. More successful perhaps, but to do a head-to-head for the cheese cake tasting? I’d definitely won’t give the credit for CCF. Nevertheless, I had two slices back then and it was not that bad actually but I can see indeed that my workmates were not that satisfied because previously we had good cakes for farewells and unfortunate for CCF, perhaps we won’t pick you again next time. Keep trying though.